I’m not sure it’s possible to make Chrono Trigger, one of the greatest RPGs of all time, actively bad, but Square Enix’s surprise PC port is definitive proof that you can make it tough to look at. Modders—bless their noble, Frog-like souls—are trying to fix it. There are a number of mod projects in the works that aim to restore Chrono Trigger to its former glory, but Jed Lang’s efforts are at the forefront. Already, he’s released a tool called CT_Explore that lets anybody modify the game’s assets, as well as an unofficial patch that removes some (though definitely not all) ugly blurring from the PC version of the game. The next step, then, is to scrape away the game’s blown-out sprites, spruce up its misaligned tile sets, and banish its horror-movie-worthy menus to hell, where they belong. 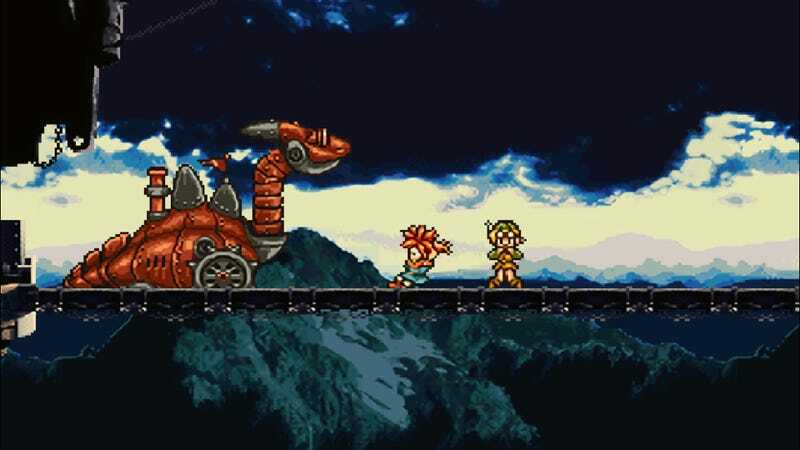 Modder Rhyagelle is taking a crack at the former two, and while their Chrono Trigger Restoration Project is nowhere near complete, they’ve reported some success with the tiles. Meanwhile, another modder named Zeikar is working to cut Chrono Trigger loose from the port’s graphic design trainwreck. Another modder, ExiledAlchemist, got rid of a pervasive, nasty-looking sepia effect and released a mod that makes it look like you’re playing the game on an old CRT television. Lang, who made most of this possible, is continuing his own efforts, too. While he thinks replacing sprites and making the PC port look nearly identical to the original will take some effort, he’s optimistic. “So, if we got ALL of the original art (characters AND backgrounds), my belief is that it’ll largely look ‘better’ (for some definitions of ‘better’)—in that, it’ll probably mostly look like the original SNES game,” he told PC Gamer. It’s a bummer that Chrono Trigger’s PC port ever released in this state, but at least there’s hope for the future.